Our artist, Paula Slater, has supplied us with the sketch the city requests for the review process! It can be seen below at the bottom of the page. We are also working on finding a proper site for the statue. The initial thought was to place it on Congress Avenue where the Vulcan Gas Company once stood. However, Congress Ave is being zoned off for further development so no new public art will be placed there at the time. However, since the Elevators only played the VGC twice, two new homes have been proposed. 1. At 1501 San Jacinto, where the Jade Room once stood (now a parking lot). This is where the Elevators first formed and home and took up residence. 2. At 1125 Red River, where the New Orleans Club once stood. The Elevators took up residence here after being kicked out of the Jade Room following Roky's bust in 1966. At the moment a meeting with the city review board is being set up. A huge thank you to everyone for donating, sharing the word, or liking the page! 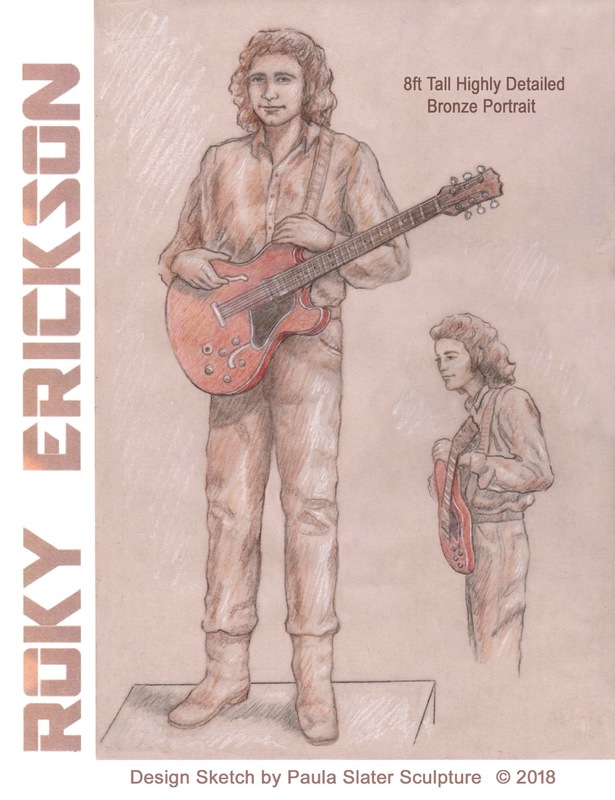 Roky Erickson's story stands alone, though it seems his legacy should stand amongst the greats of the city of Austin, Texas. His influence on this city is as monumental as Willie Nelson or Stevie Ray Vaughan, both of whom are immortalized in bronze statues across this city. Roky was the original however, and his story deserves to be memorialized in his home city - the "Live Music Capital of the World". Having received Roky's approval, and having met with members of the Cultural Arts Division for the city, I began researching bronze sculpture artists around the country. I found in Paula Slater an artist that is internationally recognized for her thirty years of experience in bronze sculpting. Her work is remarkable and her profile can be viewed here: https://paulaslater.com or https://www.facebook.com/Paula-B-Slater-122068936317/ . Her enthusiasm for this project is incredible and reflects that of the many others I've discussed this project with. Roky Erickson has had many faces over the past 50 years. There's young Roky from the days of the Elevators, there's Roky from the Aliens years, and amongst all the others, there's the Roky we see today. The look we've chosen to go with is young Roky from the days of the Elevators. The start up cost of $1,500 pays for the initial artist sketches needed to go before the city and formally present the application. Once approved, the remaining funds will be sought by donation through this channel and will continue as outlined below. However, if denied, the process ends and donations will not be repaid. 1. The first third payment of $38,500 ($40,000 - $1,500) is given for a clay maquette to be cast in resin, while the full size sculpture is being worked on. 2. The second third payment ($40,000) is due for the molds for the bronze casting process. This process takes about a year to complete. 3. The final third ($40,000) is due upon completion and shipment to Austin for permanent display. A city fee of 2% is required by the city of Austin which amounts to $2400 (2% of $120,000 ) for the upkeep of the statue. Crowdfunding websites require a 5% fee for all projects which in this case amounts to roughly $6,000. I began this project out a desire to see Austin honor the legacy of a musician unrivaled in essence. As I expressed the idea of organizing this project I was hit with enormous support and enthusiasm from everyone I talked to. Roky represents so much to so many in so many different ways, and a statue of him would provide the city with a more complete map of the music that made the city what it is today. Nobody exemplifies "keeping Austin weird" while symbolizing the resilience of Texas quite like Roky Erickson. 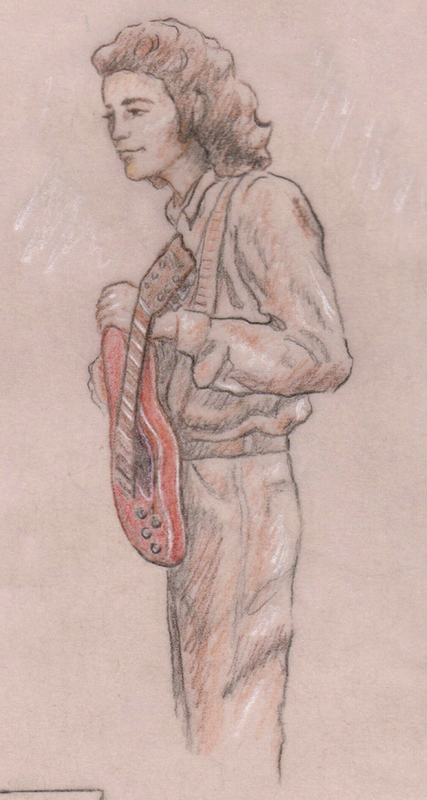 To those that know his music and his past, Roky stands alone. As the "godfather of psychedelia" Roky changed the face of music. 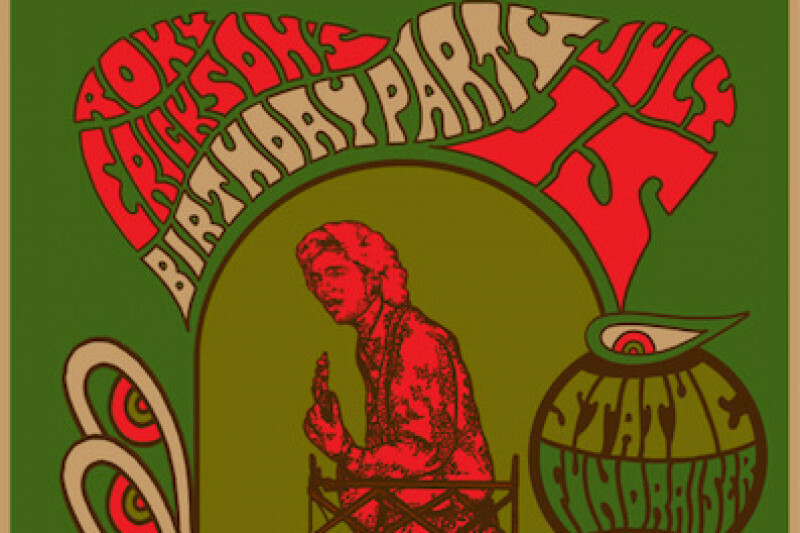 As the singer/guitarist/songwriter of the 13th Floor Elevators, Roky & company led Austins legendary rock and roll scene through the 60's, pioneering the way for fellow Austin musicians Janis Joplin, The Golden Dawn, Conqueroo, and the Red Krayola, along with countless acts worldwide. Following a concert where he began speaking gibberish in 1968, Roky was diagnosed with schizophrenia and received a round of electroconvulsive therapy. In 1969, he found himself in legal trouble after being busted for a single joint of marijuana, to which he pleaded insanity and was sentenced to a state hospital for a number of years, where he received multiple rounds of electroconvulsive therapy as well. 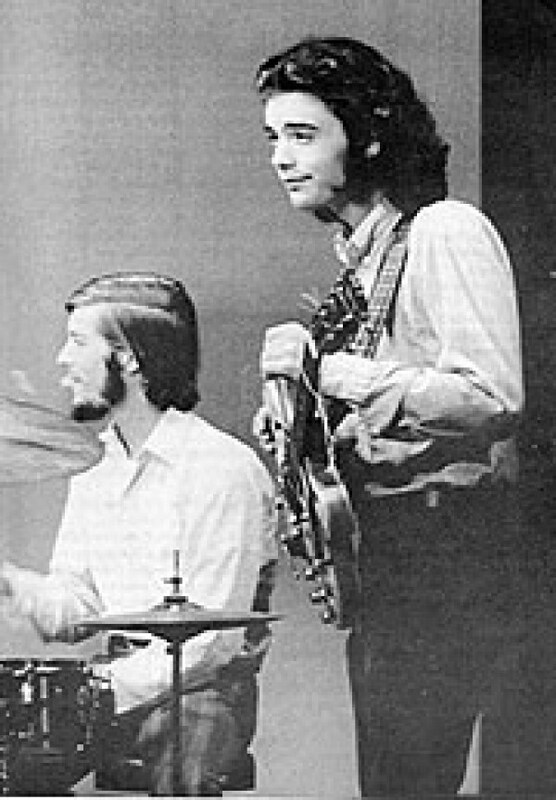 Upon release in 1974, Roky went on to create a harder rock sound with his new project Roky Erickson & the Aliens. Though the sound was a departure from the Elevators, the music was as endearing as the rest of his catalogue. His decline in music came about in the 1980's when he retreated from the studio and stage and the difficulties arising from his hospital treatments became overwhelming. For 20 years Roky stayed from the stage. Beginning in 2005, he made his return to stage and has since gone on to tour the world over multiple times. He continues today to play around Austin regularly, as one of its most beloved and important citizens and a true representation of this city..